The Letcher family are a large group who are frequent guests at Canuck Place. Parents, Jordan and Kerena have five boys including middle child, Heston who was diagnosed with Sanfilippo Syndrome when he was two. Today, he’s a six year-old boy who has never spoken a word, but lights up the faces of those who meet him. It can be hard to find activities to interest an entire family that includes teenagers and twin three year-olds, while still being accessible to Heston, which is why the Letcher family are frequent recreation therapy participants. Canuck Place also enables the family to travel outside of their hometown of Victoria. Heston requires a special bed for sleeping, which most hotels don’t have on hand, but Canuck Place does. The family makes the most of their time in Vancouver, visiting places like Science World and the Vancouver Aquarium. They’re perfect for the endlessly curious Heston, who loves watching everything bright and colorful. Some of the Letchers favourite Canuck Place memories come from visits with the Vancouver Canucks. “These visits make a tremendous difference,” said Kerena. 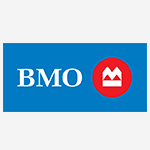 “It gives us something to be truly excited about, and an opportunity to feel important. You cannot underestimate the value of having something to look forward to, or to remember fondly to a family that is coping with the stresses of a terminal child. Does it take away the burden of our child’s diagnosis? No, it doesn’t. 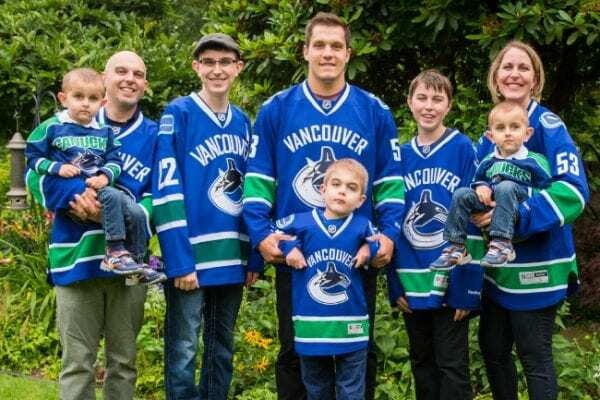 The family’s most recent Canuck visit was with Bo Horvat, who spent a special afternoon with them at Canuck Place. He hung out with Heston in the garden, and played floor hockey with the twins. We created a special hockey card to remember the day, which you can download for yourself here. You can help families like the Letchers continue to create amazing memories together. Donate today.